Play Unplugged has posted another of their Technical Emmy-award-winning reviews. This time it's Apocalypse Survivors: The Men from Wargames Factory. It's beginning to look a lot like Apocalypse, everywhere you go! 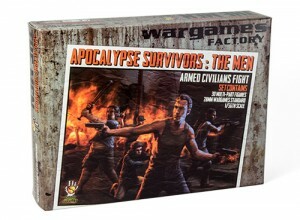 Play Unplugged's Matt Snodgrass reviews Wargames Factory's Apocalypse Survivors: The Men.